I've been slacking on the sheet masks, only because I feel I need to relax and do very minimal in the 10-15 minutes it takes letting the mask soak into my skin. 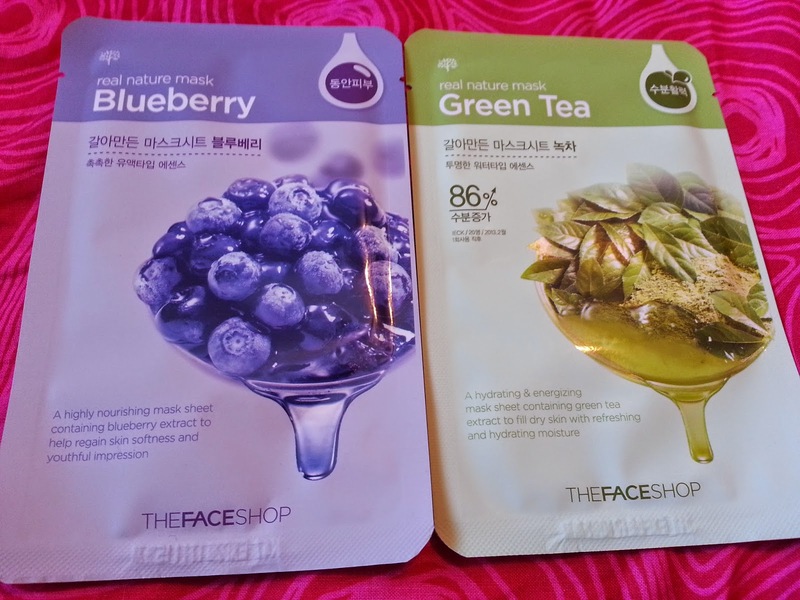 I've done some clay masks quickly, but sheet masks cannot be rushed! This week I decided on the Blueberry Mask. I actually pulled out the Avocado mask first, but I want to save that for when my skin feels extra dry. My skin hasn't been too bad these past few days, I suspect it's because I've incorporated Hyaluronic Acid into my regime, but more on that in another post. 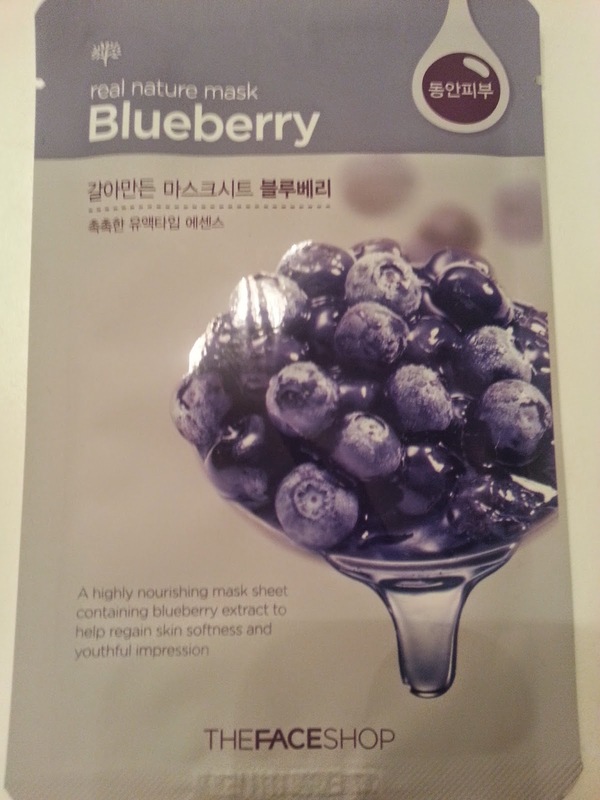 Blueberry - A highly nourishing mask sheet containing blueberry extract to help regain skin softness and youthful impression. I'll be honest and admit that my skin is pretty soft to begin with, and I guess "youthful impression" is never a bad thing lol. I was hoping that it would be nourishing though because I have had some dry patches that are slowly going away. Because of the previous red ginseng mask, I was actually expecting the essence of this one to have a blue or purple tint to it, however it was clear. The red ginseng was brownish. I also was hoping this one would smell like blueberries, while it was a little "sweet" it wasn't blueberry. But that's okay, it's a lot more welcomed than the red ginseng. Can you tell I didn't enjoy the red ginseng mask? So I opened the package, took out the mask, squeezed the extra essence from the pack into my hand, and patted it onto my skin. I then applied the mask, and waited 20 minutes (instead of the directed 10-12 minutes) ... I was enjoying my relaxing time! This mask definitely isn't as sticky as previous masks. I patted my skin again to let the essence absorb, before applying my night cream. I liked this mask, I don't think it will be as moisturizing as the rice mask though. So far, that one has been the one to beat!